A West Midlands technology company has been awarded a six-figure grant to develop a ground-breaking energy efficient product to track and monitor assets. Inventor-e, which is based the Solihull Metropolitan Borough Council’s owned Blythe Valley Innovation Centre near Solihull, provides a range of inventory management solutions linked to its cloud-based Sourcerer™ software platform. These range from patented stock control apps, RFID Tracking, through to industrial vending machines for businesses in a wide range of sectors from aerospace to automotive. The business has won a £350,000 grant from Innovate UK to further develop its Smartie™ asset management tracking product which ensures staff don’t lose their tools. Inventor-e will be working alongside collaborative partners the Manufacturing Technology Centre in Coventry, Rexel UK in Birmingham and SKN Electronics in Birmingham on the innovative project. Inventor-e Chief Executive Officer Dean Henry, who launched the business in 2000, said this signalled the start of an exciting period of high growth for the company. 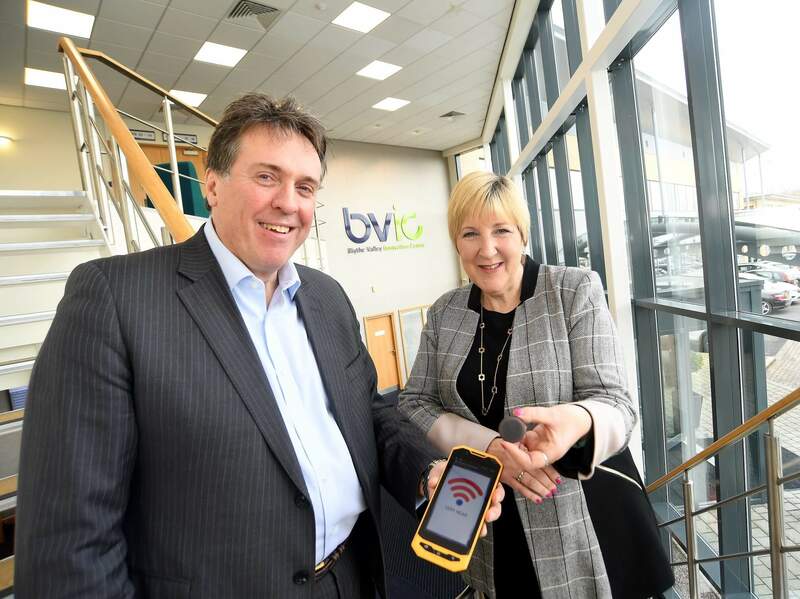 “We have received positive feedback from our Smartie™ tag and app which means companies can monitor and keep track of their assets at all times which is particularly useful for businesses with tools and equipment in vans,” he said. “The Innovate UK grant has been awarded to develop this into a production version. It will be the world’s first because we are researching the use of energy harvesting. “At this stage, we can track assets using Bluetooth technology to tell people they are in close proximity to their equipment and the new product will have a battery which will frequently charge itself, removing the need to change batteries in the field. “This has never been done before and we are starting work with our partners within the next few weeks. Inventor-e’s team is expected to rise by two or three new members of staff to cope with the extra work. Dean added: “We are expecting high growth not just in the UK but internationally. “We are already working with businesses in the US, Europe, and the Middle East and we are confident this will continue to grow over the next few years. Janet Bunch, manager of the Blythe Valley Innovation Centre which is operated by the University of Warwick Science Park, said Inventor-e had patented a number of products which had taken the market by storm. She said: “Inventor-e is extremely adept at using the latest technology to create new products which is reflected in their success at securing a grant from Innovate UK for their latest idea. “Their business is booming in the UK and overseas and it is great to hear the company is increasing their workforce.